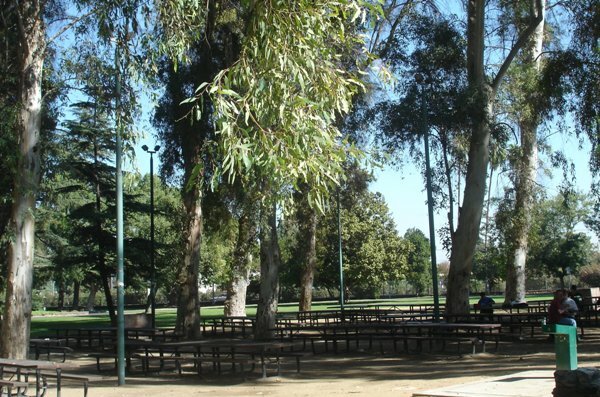 Comment(s): Table 2 of 12 tables in Eucalyptus Grove which seats a total of 35 people. This picnic table includes BBQ's, lights, electrical outlets, a children's tot lot across the road, a parking lot and shaded areas. For questions, contact the PARCS Office @ 559 621-2900) WINTER HOURS: 7:00 am - 7:00 pm (Nov. 1 - March 9) No refunds will be given because of inclement weather or electrical failure. Although every effort is made to ensure that lights and outlets are working prior to your reservation, power outages or overloaded circuits sometime occur, and will not be considered reason for a refund.